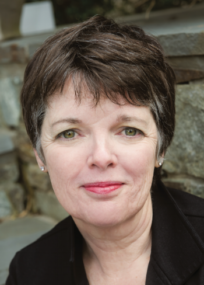 Join us for an afternoon with award-winning author Alice McDermott. Alice will discuss her latest novel,The Ninth Hour, and share her views on what it is like to be a writer and a Catholic woman in today’s society. Alice McDermott’s acclaimed fiction explores the intersecting stories of familial love, Irish American culture and assimilation, and the hard-wrought lessons of adulthood. Her work pulls on the delicate threads of “fear and vulnerability, joy and passion, the capacity for love and pain and grief” (The Washington Post). The Richard A. Macksey Professor of the Humanities at Johns Hopkins University, her novels include Someone, Charming Billy—winner of the 1998 National Book Award—and That Night, At Weddings and Wakes, and After This. They were all finalists for the Pulitzer Prize. In The Ninth Hour, McDermott follows a young mother struggling with Catholic forgiveness and shame in the wake of her husband’s violent suicide in early 20th-century Brooklyn. Cost: $35. Includes a copy of the book, The Ninth Hour, and a reception with McDermott following the presentation.